NW Coffee Festival, because who doesn't like coffee? During my career as an *cough* esteemed *cough* blogger, I've been to beer festivals, wine festivals, car festivals, food festivals, music festivals, shrimp festivals, shrimp boat festivals, and shrimp boat net festivals. A coffee festival, however, was a new one and I just had to check it out. You see, I love coffee, in somewhat of an unhealthy way. Love would be putting it lightly. Need, perhaps, is the more accurate descriptor and the Northwest Coffee Festival in Seattle on June 18 - 19, 2011 was the nexus of all things caffeinated. A beer and wine garden at the event sealed the deal, and on a sunny Sunday afternoon I found myself at the Fisher Pavilion of Seattle Center with my friend David to see what it was all about. An event designed to bring together coffee lovers, baristas, and roasters to get an entirely different kind of buzz than you're likely used to reading WestToast, the Northwest Coffee Festival was billed as featuring espresso bars, slow-pour coffee bars, live music, educational sessions, hands-on demonstrations, and food. Ah yes, food. With 10 coffee producers and 9 food vendors on-hand, I was pretty darn stoked to dive in and get my coffee on. David and I paid our $15, received 6 tasting tickets, and headed into the madness to check things out. While 6 tickets may seem a little light on the tasting, all slow-pour coffee and many food vendors had free offerings. Espresso drinks were two tickets and beverages of the alcoholic variety where three. After doing a lap around the joint, dodging hyper-caffeinated attendees left and right, we decided to start with Dahlia Lounge's food booth. It's Tom Douglas so you know it'll be good, and the slow-roasted espresso ancho pork in a house made biscuit certainly didn't disappoint. Time for coffee! Red fruits, wine-like acidity, and a light syrupy body define the Rwanda. The finish compliments with notes of clove and allspice. Of course, wine! It had every bit of the complexity of a nice glass of Washington red. Seriously, though, this was a unique roast and the more we talked to the artisan barista about the means and methods behind growing beans, roasting techniques, and brewing techniques, the more I truly realized that coffee is an art form in the same way that our beloved beer, wine, and spirits are. PS, the coffee was delicious. After Victrola, we hit a few more coffee producers and topped it off with a stop at the beloved Theo Chocolate booth. That's right, chocolate. After thoroughly getting hyped up on way too much caffeine, we spend a good half-hour watching the latte art competition. It's exactly as it sounds, local baristas competing to make the most beautiful latte possible. 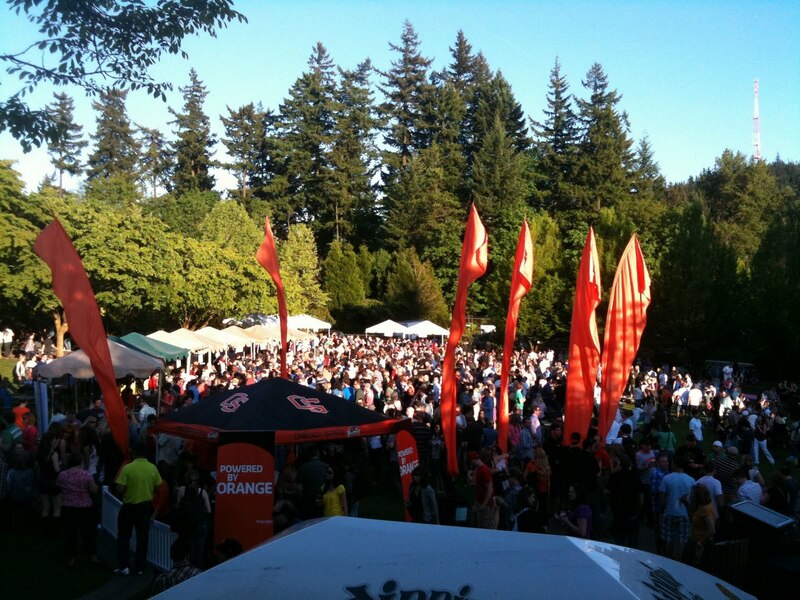 As the event winded down, we had only one place left to visit: the NW Beer, Wine, and Cider Garden. Rick has been hyping up local cider so much lately I was stoked to give it a try. Well friends, if there was only one disappointment of the festival it was the NW Beer, Wine, and Cider Garden. They were out of cider, all of the wine selections were from France, and there were only two Northwest beers left on tap. They were good and rest assured, I tried them both, but it was a far cry from what I had anticipated. It was a coffee festival, though, and I got plenty of that so who am I to cast stones? It was a splendid afternoon and one during which I learned far more than I expected to about the art and craft of coffee. Tomorrow morning, as I sip on my organic breakfast blend from the local grocery store as I try to wake up on the bus, I'll have a new appreciation for everything that goes into my morning fix. 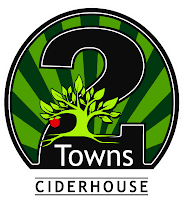 Saturday, June 25th: 12:00-6:00pm, come down to the 2 Towns Ciderhouse cellar for tastes of cider, a tour of the facilities and a quick cider making lesson. Of course, you also get to meet and mingle with the cider boys as well. So, save the date and we look forward to seeing all of you then! Cases and bottles available for direct purchase, including our new seasonal - Serious Scrump: an 11%abv dry scrump-style cider made with Hood River juice, local blackberry honey and french oak. A serious summer treat! 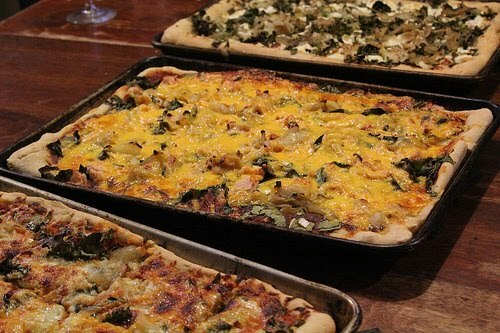 www.2townsciderhouse.com or find us and all the newest updates on facebook! I expect huge things from 2Towns in the near future and I can't wait to visit their Open House. Joining me will be Alyssa and Theresa, so come and say hi. See you there! I’ll admit it: I’m a Cougar. I know that can be a dirty word in Seattle, but I’m also a Husky, and a Zag, and at one point in the not too distant past, was a Beaver. No, I’m not a fair-weather basketball fan or a perpetual student. A career spent working at colleges and universities in the Pacific Northwest has created divided loyalties, a colorful wardrobe, and a bit of confusion as to who to favor in events such as the Apple Cup. Through the years, I’ve had a nagging question in my mind: Who makes better wine? Being new to Seattle, I recently had the perfect opportunity to conduct some very unscientific research on the issue and explore some of the wines associated with the University of Washington. In many respects, Washington State University has an unfair advantage in Washington. Most of the wine grapes are grown east of the mountains, WSU is home to a prominent viticulture program, and there’s even an official Wine by Cougs club. Logic would follow that those interested in agriculture and the like would attend the land-grant institution in the state. Nonetheless, I entered this experience knowing that some strong Husky winos are out there; I just had to find them. I put the call out on the Twitter and started to scour the net for wineries with connections to the UW. Both efforts paid off and I quickly had a list of four wineries and with a tasting party scheduled for that evening I had no time to spare as I headed to the store to find the wines. Two hours and three stores later, I returned to my condo to get ready to host 9 of my closest friends for the Husky wine grand tasting event. Brian Carter Cellars Corrida: Managing Partner Michael Stevens has degrees from the UW in business administration and public administration. Gilbert Cellars 2008 Left Bank Red: Head winemaker Justin Neufeld graduated with a B.S. in Molecular Biology from the UW. Waterbrook 2008 Melange Noir: Winery owner Andrew Browne holds a degree in history from the University of Washington. Wilridge 2009 Estate Melange Blanc: Founder Lysle Wilhelmi holds a medical degree from the UW. There were some notable names on the list, so I knew Huskies could make wine. How would it stack up? The guest list for my tasting included a menagerie of wine expertise, palates, professions, and school affiliations; about as neutral and unscientific as I could get. We tasted through the wines in progression, taking a moment to discuss the virtue of each bottle before it was gone. When the dust settled, the Brian Carter Cellars offering was the clear favorite among the purple and gold. The Wilridge was perhaps the most interesting leaving sediment in the glass, a rarity for a white wine. Four bottles down, our group jumped to a Zag wine made by Va Piano out of Walla Walla, and agreed that the Cougs have an edge in this arena. UW Alum make some nice wine, however, to make a very broad generalization we find Coug wine has some more depth and complexity. Disagree? Tell me about it! Managing Editor Josh Gana also covers wine for Seattle Pulp, a place to share the things Seattle loves. This article was originally published there. I’m not a wino, but I do love a good glass or even a bottle when I can find one. I’m the WestToast writer that’s just like most of the USA when it comes to drinking wine a wanna-be who's trying to learn. My first regular wine drinking experience was with my college boyfriend’s mother. We bonded one summer over Beringer White Zinfandel and I’ve just grown from there -- or so I hope. I don’t think you should be judged on the wine you like. Just like the people we think are attractive, the foods we love to eat, the places we think are beautiful, the wine you love will vary on the person drinking it. Whether or not you like it is all that matters. While I’ve moved up from my pink college wine and now prefer reds, though a chilled white is great on a warm summer day, I’m not snooty about what I drink. Price nor reputation doesn’t always mean everything. If you’re looking for a new wine to try don’t hesitate to check out my posts. I’ll let you know what I think is worth a shot and if you disagree or have a suggestion, please let me know. I am not at all ashamed to admit that I knew very little about cider before visiting Cider Summit NW. I've had a few ciders in the past month or so and knew that I enjoyed some over others, but that's about it. I suppose I also knew that cider was fermented fruit other than grapes, so I had that going for me. Created as a way to bring awareness to the growing cider making industry, Cider Summit NW held their inaugural Portland event at Elizabeth Caruther's Park on Portland's south waterfront. With 24 cider producers promoted to be in attendance, I knew I'd learn a thing or two. Joining Alyssa and I were two other good friends from Corvallis, which also meant I'd have plenty of opinions on each varietal. Alyssa and I don't live anywhere near a reliable line of public transportation, so we had to drive. Sure we could have just driven up to the event and parked within a couple of blocks, but that's kind of boring. Instead, we made use of Portland's most unique form of public transportation; the Portland Aerial Tram. 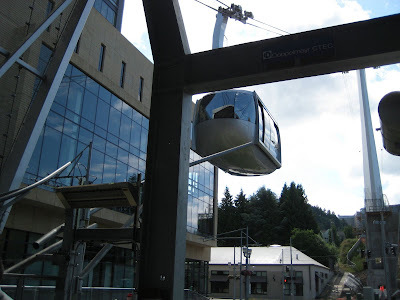 Constructed as a convenient way for people to commute from Portland's south waterfront area to OHSU's Marquam Hill campus, the tram is a fun way to get a great view of the entire city in a Swiss Alps-inspired gondola. It's also a lot of fun to watch people freak out on really windy days as the giant pill swings back and forth, but skies were clear on Saturday and the ride was smooth as butter hanging from cables that exceed the current standards for Swiss aerial tramways. The first brewery (is that what they're called? 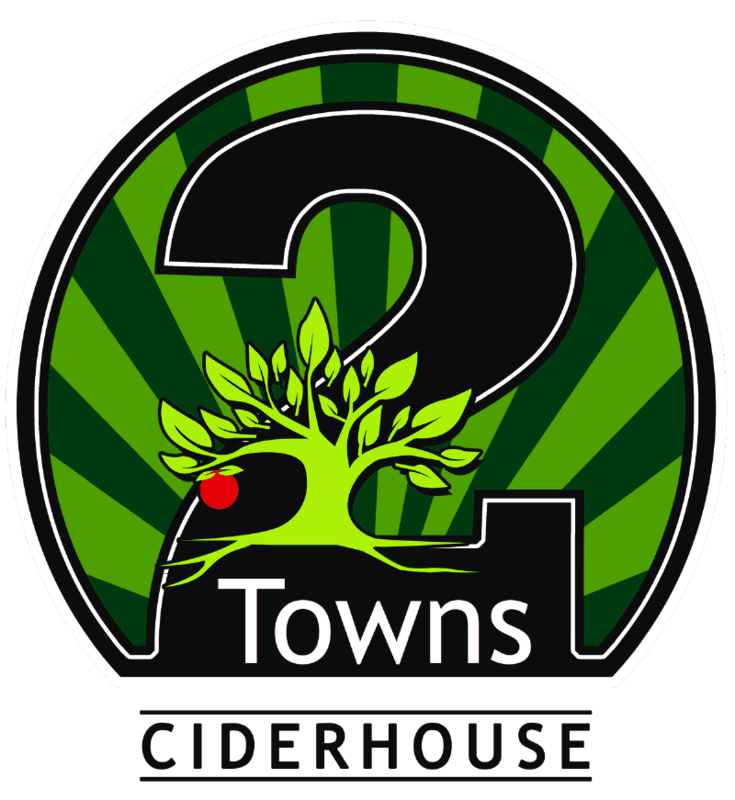 I'm sticking with brewery) we hit up was 2 Towns Ciderhouse out of Corvallis, OR. Unbeknownst to me, Theresa already knew Dave from 2 Towns and was familiar with their cider. Although they're a newcomer to cider scene (they started about 6 months ago), you could have fooled me. 2 Towns brought with them their Incider, Bad Apple, and Serious Scrump offerings. I had the opportunity to try the later of the two and Bad Apple ended up being my favorite of the day. Coming into the event I had the general idea that ciders were around 6% ABV and made in a similar style to beer. Bad Apple shattered that assumption since it is fermented with chardonnay yeast in white oak barrels and sits around 10.5% ABV. It tasted very similar to what you could imagine a sparkling chardonnay would taste like with heavier apple hues. After getting to chat with Dave and Aaron a bit, I was more than convinced that I had to make it to their open house in Corvallis on 6/28. More on that to come. The next brewery I should mention is Blue Mountain Cider Company. Instead of trying all-apple offerings, Alyssa and I decided to try their Apple-Peach and Apple-Cherry varietals. No guessing is needed to imagine what these two taste like. Their Apple-Cherry cider hovers around 6.3% ABV and goes down ridiculously smooth. The gentleman pouring referred to it as their cherry pie cider. While perfect as a dessert drink, it was also suggested that it makes a terrific marinade of sorts for grilling salmon. I liked the peach version a tad more and would be perfect with a big bowl of vanilla bean ice cream. The final brewery worth mentioning is Wandering Aengus Ciderworks, which has been our go-to cider as of late. Their Bloom varietal is what I have conceptualized as the prototype of what a typical cider should be; crisp, a bit sweet, and smooth enough to be drank as one would a beer. On the opposite end of the spectrum, their dry cider was exactly as advertised. While delicious, it seriously takes dry to an extreme. I would recommend pairing this one with something strong and pungent, like cheese or meats. Wandering Aengus has pretty wide distribution around the Portland area, so do yourself a favor and pick up any of their offerings. By the time we left the event, my mind was thoroughly blown. I had no idea that the breadth of cider making philosophies could span such a large spectrum and I am very excited to learn more. Everybody at the event was incredibly kind and I couldn't imagine a more perfect way to spend the day. A huge thanks goes out to Alan from SBS Imports for organizing the event and to all of the cider makers who answered my completely ignorant questions with a smile on their face. Upset that you couldn't make Cider Summit NW or don't live in the Portland area? You're in luck! 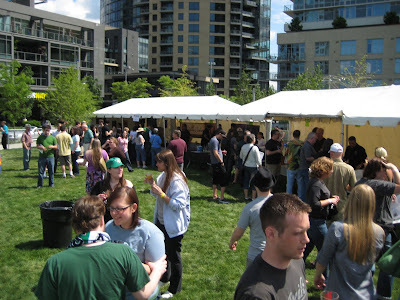 Cider Summit NW: Seattle will be on September 10th at the South Lake Union Discovery Center Park. More information to come, but check out CiderSummitNW.com for more details. It's finally starting to warm up here in the Willamette Valley - sunshine, flowers in bloom, dry weather, and fresh new produce. I am enjoying an increase in vitamin D intake and the influx of lovely summer veggies appearing every day at the farmer's market and co-op. My staff and I enjoyed the end of the school year with a brilliant and tasty barbecue by the river. With each new summery addition I crave more, and this includes looking for some lovely wines to drink as I look forward to grilling, chilling, and visiting friends. I was fortunate enough to get an invite to an industry tasting at Spindrift Cellars in Philomath, OR. I'd passed this local boutique winery and tasting room often on bike rides, but the desire to top my record for the Philomath loop always bested my desire to stop. I was pleased to join owners Matt and Tabitha Compton for a chance to sample a wide variety of their wines - some for sale in the tasting room, and others unavailable now in the tasting room. I was most impressed with the spread laid out for us upon my arrival - over 15 wines lined up for tasting, several cheeses, brownies, crackers and spreads. I was the first in attendance, so I was treated to some special attention while tasting - a lovely chat with Matt about Spindrift, his commitment to making quality wines, and their interest in developing green and sustainable practices. I learned that their bottles are made of 65% recycled glass, and that their vineyards are certified sustainable. I found both Matt and Tabitha to be warm, open, and invested in their art. 2009 Gewurztraminer - I found this wine to be surprising and lovely. The nose was strong and lively with hints of melon and honey. I found it drier than other gewurztraminers I've tried, with an acidic bite up front, with a soft spicy finish. I noted a lingering heat that made me think of hot chilies, and made me want to take a bottle down the street to the Woodsman and pair it up with a mild thai curry. It was well-balanced, and had a clean texture that left me wanting to sip more. 2010 Pinot Gris - Not currently available in the tasting room, this wine hit me with its strength and bright sharpness. The nose was open and tart with a high floral note that hit me late as I moved away from the glass. I found it to have an intense citrus flavor blended with the coolness of peach and melon. The finish was full of mouth-watering tart - almost green apple. What I loved the most about this wine however was the texture - smooth and satiny over my tongue and palette, it invited me to keep sipping. I would drink this wine well chilled by the glass, or pair it up with grilled chicken or flavorful fish. It positively invited summer in to stay. 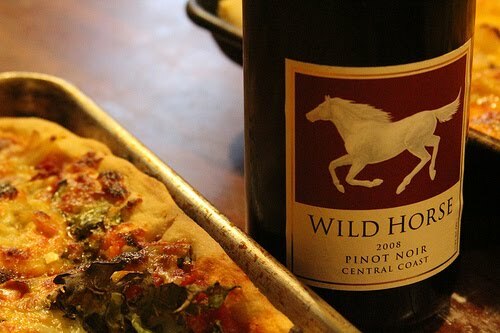 2010 Pinot Noir Rose - this wine stood out to me as unique and fun. The nose hinted of champagne, summer fruit, and citrus - all of which matched up when I tasted it. I found new strawberry at the front, with a mid-palette citrus and a finish that made me think of summer wedding toasts. The texture was sharp and clear - the only thing that would have made it better would be just a hint of sparkle. I was also impressed by the color - a gentle peach glow that was as beautiful to look at as it was to taste. I made sure to pick up a bottle on my way out to save for late summer toasts with a berry salad or simply on its own. 2008 Lewisburg Pinot Noir - Matt described the location from which this single-vineyard bottling came as a warm and sunny location that brings out acidity and big flavors (thank you Matt for all of the lovely new tidbits you taught me!). I found the nose loamy and almost herbal - the kind of Pinot Noir that I really enjoy. The flavor was calmer than the nose promised, but offered tart cherry flavors up front, with a movement to darker fruits and chocolate later on. in discussing the wine with others at the event I learned more about aging wines, and was told that this wine will only improve and open up further in the coming years (the Spindrift website promises its drinkability between 2012 and 2020). Despite the statements that this wine still has a way to go, I enjoyed it thoroughly, and would love to drink it along with grilled steak fajitas and corn on the cob out on the deck around sunset. 2008 Syrah - This wine, made from grapes in the Walla Walla Valley, ended my tasting with a delightful bang. The nose was bold and spicy with a promise of dark fruit. I found the taste aligned with the nose, adding in a smokiness and a hint of oak. There was a green finish that made me think of blackberry leaves and deep forest moss. The texture was full and rich and made me want to drink it alone, or perhaps pair it up with freshly picked morels. Thank you Matt and Tabitha for being wonderful hosts, and for sharing with me your thoughts and love of the wines that you make. I look forward to hitting up Spindrift in the future, as well as trying my bottle of '08 Lewisburg Pinot Noir in the coming years! Tasting your wines helped to herald in the summertime! 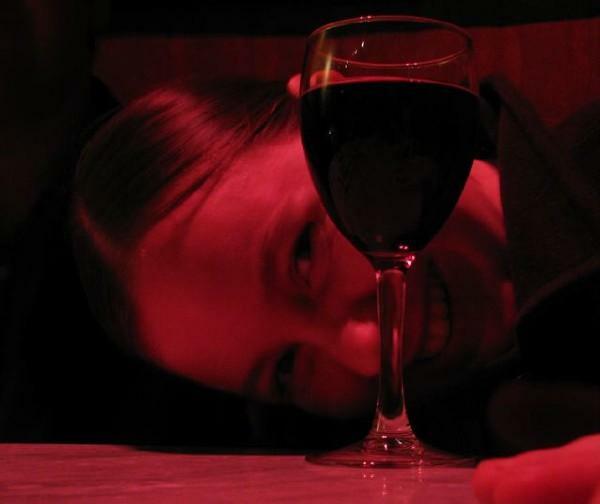 Editor's Note: Guest Blogger Sarah Gremer lives in Seattle, Washington where she spends hours pontificating on wine. With a move pending, we may convince her to cover the Walla Walla scene for us. I got into the world of online wine clubs as a way to find some new wines I hadn’t tried before at affordable prices. Tired of going into the grocery store and wandering around until I picked up another bottle of the same old wine just because I knew it was “safe”, I figured why not try a few wine clubs and see what came to my door? I often forget I ordered anything, so when I come home to a case or even just a couple bottles of wine, I feel like I just received a present! I feel like I have good friends who take time to go choose wines for me, and they even send me tasting notes, telling me what I am going to like about the wines and what food it pairs best with. After ordering from a club, I start to receive special offers of more wines at great prices. A sucker for a great deal, I love all the first time offers that come with many wine clubs. You can get cases at discounts of over 50%, and sometimes it includes free gifts as well. My favorite thing about online wine clubs is that I always get good bottles of wine. The clubs take great care in making sure that all bottles are tasted and reviewed by multiple people before being included in a shipment. This means that I don’t have to go through the process of trial and error when trying new wines. I always know that I’m going to get something good! So on to the clubs. Which ones are good? What do you get for joining? Read on to discover a little bit about some of my selected wine clubs. This was one of the first clubs I ever joined. K & L is based in California and they have a number of clubs you can join. I joined the Premium Wine club, which included 2 bottles a month for $29.99 plus shipping and handling (it averages out to about $42 a month to ship to Washington). Other wine clubs they have include the best buy wine club ($19.99 for two great deals a month), the Champagne club ($69.99 for two bottles of wonderful bubbly every other month), and the Italiano club ($39.95 for two bottles of Italian Vino a month). The great thing is if you join ANY of these clubs, you automatically can get any of the other club wines at the discounted club price – it’s a great benefit and you don’t have to join multiple clubs. The wines themselves are always great. Each month I received one red and one white (occasionally, you might get two reds or two whites). The package includes tasting notes along with what foods will pair best with the wines. The wines are usually from California or Italy, but it can vary. Some of the great wines I’ve tried from this club include the 2008 Château de Montfaucon "Baron Louis" Côtes du Rhône (reorder price $14.99), a light and fruity wine good to the last drop, and the 2009 Cakebread Cellars Napa Valley Sauvignon Blanc (reorder price: inquire), a crisp and clean white that would be fantastic with a nice cheese plate. Overall, K & L is a great club, and I would highly recommend it. Even if you aren’t a club member, you can still order individual bottles from their website, and they are all pretty great. I came across this one when I saw a great deal - $69.99 (plus shipping and handling) for a case of wines that would regularly be $169.99. Not only would I get a case of wine, but I would also get 4 free glasses and tasting notes in a lovely little binder. How could I resist? When the wines came to my door, I was not disappointed. The Charles Smith Cabernet alone was worth the whole purchase! The tasting book was great, with color pictures and a binder to keep all your tasting notes in. I was excited about the glasses, but I am sadly down to only one glass, as three of them broke within the first month of having them. Sometimes this deal comes with extra bottles of wine as part of the deal, and I think that’s a much better “free gift”. The wines from this club are more well-known than what you would expect. The Alma Andina Malbec Reserva is a wonderful Malbec. It is nice and bright, and reminds me why Malbec is one of my favorite wines. The white wine offerings are also a nice surprise, with more complexity than a typical white you might pick up at the grocery store. Even with the shipping price, it roughly equals out to $7.50 a bottle, and who can beat that? Just don’t forget to cancel your membership once you have received your first special offer, otherwise you will be billed for future shipments at the full price. I did not realize when I joined this club that they are pretty much the same club as Zagat.com. I learned that some of the wines they send are duplicates. Still delicious, but just be aware of what you are going to get. Same deal here – purchase 12 wines from $69.99 plus shipping and handling. I did not cancel out of this wine club quickly enough and I received a second case from their wine club ($139.99 plus shipping and handling). The wines were still as great as the first case, and although I had to spend more for the second case, I wasn’t disappointed with the wines. WSJ wines also come with a tasting binder and notes, which is really great, especially if you continue to be a club member. Not so much a club as an online wine merchant, wine.com has some great wines and great deals. I found this wine site by way of a groupon I purchased. The groupon let me purchase $60 worth of wine for $30 dollars. It is important to note that wine.com does not let you combine any coupons, so if you have a groupon coupon, you will not be able to use a coupon for free shipping as well. The site limits you to one coupon per purchase. Even with that minor disappointment, I still felt I was able to get some great deals from this site. My favorite wine I received from the case I ordered was the Di Majo Norante 2008 Sangiovese ($10.99). This is a great easy drinking red wine. I have really gotten into Sangiovese lately. If you haven’t had a chance yet to try one, this is a good one to start with. My other great find was the Cristalino Brut Cava ($7.99). This is very affordable drier style champagne. I ordered a few bottles and they have been a hit at multiple family gatherings! In a nutshell, do I think buying online is worth it? Yes. If you like having someone else do the hard work for you and you just want to know that what you are drinking is going to be good, then online wine clubs might just be for you. Many clubs out there offer “first time club member” deals like Zagat and WSJ, just don’t forget to quit the club if you don’t want to pay full price! Also, always be on the lookout for great free or low cost shipping deals. And even if you don’t join the clubs, at least join their mailing lists so you can be aware of their special deals and offers. My wine club memberships are all currently on hold as I get ready to pack up and move to Walla Walla. Yes, that Walla Walla. Stay tuned for notes from my new wine adventures both online and in my new town! 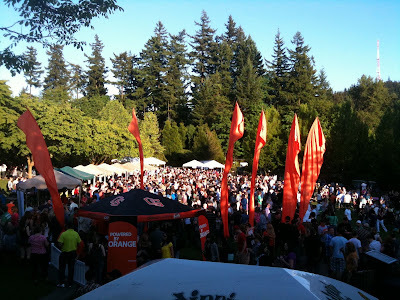 Last Friday was Zoo Brew at the Oregon Zoo and let me start off by saying that this was the most enjoyable experience I've ever had at a beer festival. The weather was perfect, the logistics were incredible, breweries pleasantly surprised by bringing out plenty of their non-standard fare, and I totally saw a mountain goat! After walking down a short, winding path, we approached a sea of tents and bright orange feather banners. Music hadn't quite started yet, but the party had certainly begun. Alyssa and I decided to start from the top and walked through the first of approximately four rows of tents. In tent one, we immediately spotted the Southern Oregon Brewing Company and exchanged our first tasting token for their authentic Czech pilsner. Alyssa has done some extensive traveling of Europe and affirmed that this was indeed fairly authentic. Good enough of an endorsement for me! While I'm not usually a huge fan of pilsners, this was an an incredibly refreshing brew for what had become a fairly warm day. I don't think they're bottling it, so you may need to hit up their taproom if you want some for yourself. With a tasting or two down, it was time to do some exploring. As alums of Oregon State University, it was pretty neat seeing our alumni association representing in full force. 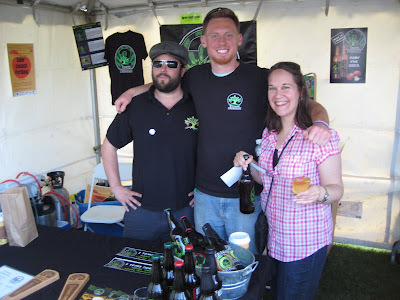 While we didn't partake in their beer education sessions, we did stop by their tent to see what's up. Aside from handing out OSU swag, they were also pouring student-made root beer. My knowledge of quality non-alcoholic beverages is limited at best, but I think their students are onto something good. Go Beavs! Because we're at a beer festival, it was time to drink some more beer. All of the more established brewers were representing in full force and while I can't say enough about how great Rogue, Deschutes, Bridgeport, Ninkasi, Laurelwood, etc are, none of them ended up being the stars of the event. The real winners weren't even breweries! Instead, Spire Mountain Cider and Blue Mountain Cider seemed to be the talk of the festival. Evident by the longest lines of any booth, ciders seemed to intrigue those not familiar with cider and excite those wanting something a little different than beer. To say including cider in the mix was a good idea is an understatement. Blue Mountain's cherry cider seemed to be the drink of choice and Spire completely ran out with two hours to go. Congratulations go to both companies. While we typically refuse to do this, I'm going to break with WestToast standard procedures and also point out what could be considered the loser of the event. They tried really hard and I appreciate the effort, but the folks manning Mike's Hard Lemonade were having a rough time convincing people to exchange tokens for their hard cranberry malt beverage. Rumor has it their three tokens for a full pint promotion helped somewhat. I will, however, say that their recent NASCAR-mocking commercial ranks amongst one of my favorites. In the end, we had an amazing night with great beer, better friends, and an experience I'm already excited to repeat next year. 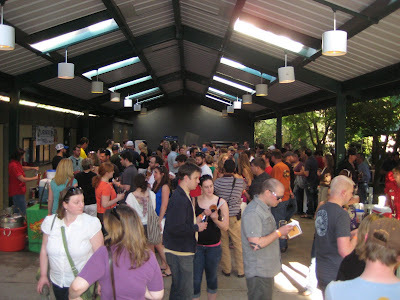 A huge thank you goes out to everybody at the Oregon Zoo, the breweries who graced us with excellent beer and cider, and everybody who came out. For those of you wondering, no, we didn't drink with the monkeys. The diversity of events going on at any given time in Portland never ceases to amaze me. This weekend, I'll be headed to not one, but two unique festivals that you shouldn't pass up. I know what you're thinking. Yes, our header clearly states that we're enthusiasts of wine, beer, and spirits. To that, I say incredibly unique events such as a festival of cider are exactly why we have a "whatever" category! Alyssa has really been into trying ciders lately and I have to admit I've become quite fascinated. While I've begun to really enjoy what I'm drinking, I have to admit I really don't know much about the genre. My mission for Cider Summit NW is to drastically change that and report my findings. (Seattle, WA) May 12, 2011 SBS Imports and the Seattle Beer Collective are pleased to announce the expansion of their successful Cider Summit NW Festival to Portland, OR. 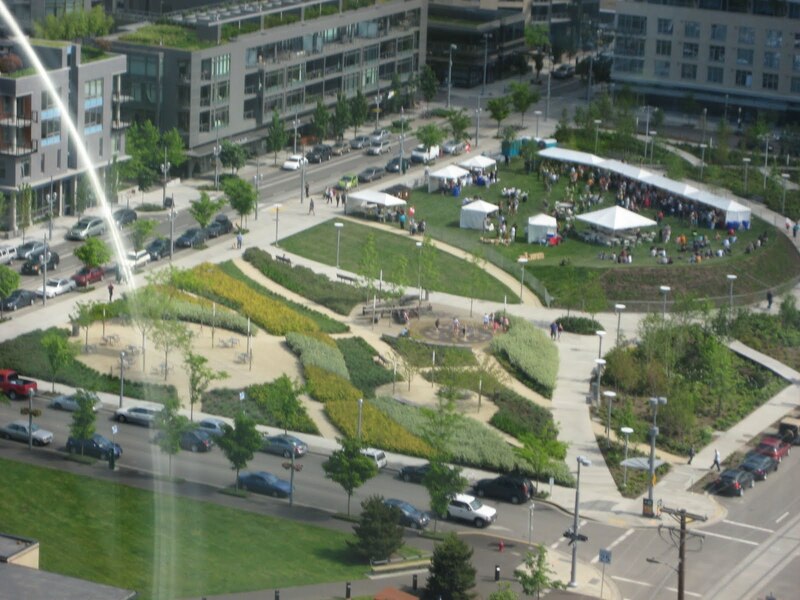 The inaugural Portland event will be on Saturday, June 11, 2011 from 11am‐7pm at Elizabeth Caruthers Park in the emerging South Waterfront neighborhood along the Willamette River. The event is presented by Barbur World Foods & Bushwhacker Cider. Tickets are $20 in advance and $25 (cash only) at the door and are available online via Brown Paper tickets and at many of the area’s leading bottle shops. Admission includes a tasting glass and 10 drink tickets. From 11a‐12n arriving guests will receive 2 additional “happy hour” tickets. Additional drink tickets will be available for sale onsite at $2 per ticket. The event is 21 and over only. Dogs will be allowed on event grounds. For more information including a list of participating ciders please visit www.cidersummitnw.com. The fun doesn't stop there! On Sunday, I'll be attending the PDX Urban Wineries Premier at The Slate hotel. Six of Portland's urban wineries (Enso, Hip Chicks Do Wine, Vincent Cellars, Grochau Cellars, Seven Bridges, and Helioterra) will be pouring a selection of their wines accompanies by appetizers and great company. The event itself will be going from 3pm-6pm and tickets are still available. Click here for more info on the event as well as a link to order tickets. See you there! During the Puget Sound war in 1856, the Sammamish native American tribe was relocated to reservations from an area of the Sammamish River Valley from Lake Washington to Issaquah Creek. Shortly thereafter, English settlers staked claims in the area resulting in the incorporation of the present-day Bothell, Washington in 1909. Do you suppose those early settlers imagined that 102 years later, Bothell would both be host to the Vintage Bothell Wine Walk and Bothell would lay claim to the record for the most overtime periods in a high school football game? Heh, I'd like to think so. Despite being just shy of 3 miles from the wine mecca known as Woodinville, I had yet to explore downtown Bothell and the Vintage Bothell Wine Walk last Friday was the perfect opportunity for me to do so. Sponsored by the Greater Bothell Chamber of Commerce, this event married 12 in Washington wineries with 9 Bothell main street business for an afternoon of wine...and well, walking. Makes sense for a wine walk, no? As we went from business to business tasting wine, one of the really positive attributes of this event became clear: the connection between the local merchants, wineries, and residents of the community. Many of the business proprietors were seen mingling among the crowd, interacting with potential customers who may have never set foot inside the stores but for an opportunity to taste wine. Guests of the wine walk spanned multiple demographic groups, and I found downtown Bothell to be a cute and fun place to spend an afternoon. Oh yea, the wine was good too. Paul and I only made it through about half of the wineries on the list, but heck, all 12 should have shot my palate beyond recognition. While it's hard to peg a favorite, the NW Totem Cellars Merlot was a winner in my book, and Paul walked away enamored with the Barrage Cellars Nuclear Blonde Chardonnay and the Davenport Cellars R.H.D. At the end of the event, we ate a bratwurst and walked home in the fading sunlight. The bratwurst hit the spot. So Seattleites, next time time you are heading to and from Woodinville, take a minute to check out downtown Bothell. There's plenty to do and see, and perhaps you'll stumble upon the next Vintage Wine Walk! Or at least 9 periods of overtime in a football game. One of the wonderful things about living on the West Coast is that we have some of the best craft beer festivals in the world. Some festivals single themselves out by featuring only one style. Others go for the opposite and host as many breweries as humanly possible. So what's so special about this one? It's in a zoo, duh. In it's 5th year, Zoo Brew at the Oregon Zoo will be hosting over 20 breweries featuring craft beer, artisan cider, and live music. 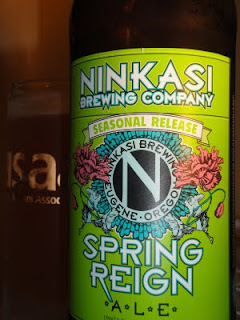 Just a few of my favorites breweries include Hopworks Urban Brewery, Rogue Ales, Deschutes Brewery, and Ninkasi Brewing Company. 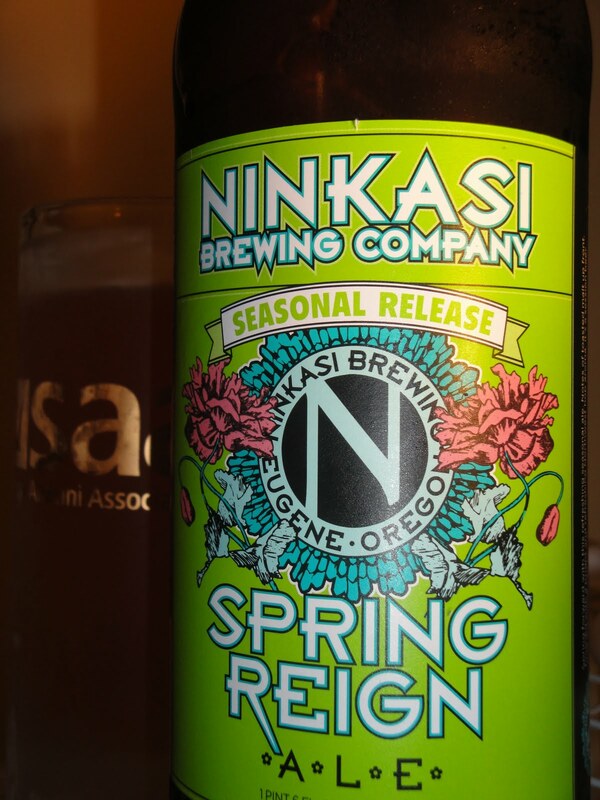 As a connoisseur of craft beer and a huge fan of the Oregon Zoo, I can't think of a more perfect way to show my support for both simultaneously. Because I know you're already thinking it; no. You cannot drink with the monkeys. 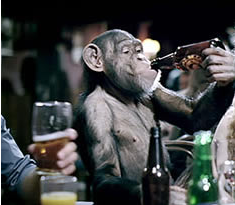 This is a tasting event and neither monkey business nor monkey drink sharing will be allowed. 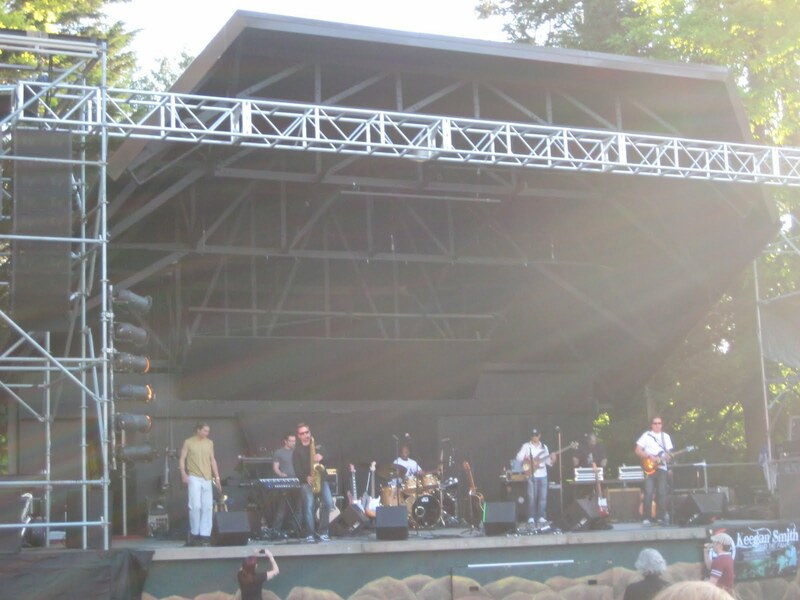 The event itself is on June 3rd and goes from 5pm until 10pm at the Oregon Zoo. Click here for more information as well as a link to purchase tickets. See you there!